Marijuana has become legal in many states across the country, for both medical and recreational use. California is the latest states to pave the way for recreational cannabis businesses through the Adult Use of Marijuana Act, which went into effect Jan. 1, 2018. But just because a state has legalized cannabis does not mean there is a marijuana free-for-all with no rules or consequences. For example, Colorado voters passed Amendment 64 in 2012, allowing for personal recreational use of marijuana for adults over 21. Sales began in the state in 2014. But recently 26 legal cannabis businesses were shut down by authorities in Denver. All of the operations were either store fronts or growing facilities operating under the Sweet Leaf name. While the operations were licensed and legal, they had been under investigation for the past year on suspicion the businesses were exceeding individual sales limits set by the state. 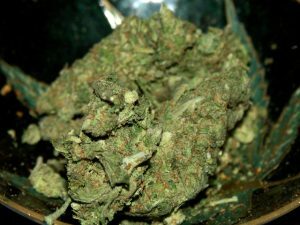 Colorado regulations restrict possession to one ounce or less of marijuana per adult. Police said they were monitoring eight of the 26 sites for the past year. The investigation culminated in a raid of the targeted locations and suspension of all related operations in the state under the same name. The company owns one location in Oregon which was not affected by the raid. Authorities arrested 12 people in connection with the case. During the ordered shut down, the businesses will not be allowed to sell or produce any cannabis products. In the meantime, the investigation is ongoing and the city scheduled public hearings until the matter is sorted out. This is the first time Colorado marijuana businesses have been raided since legalization, according to a report from the Associated Press. The state, including Governor John Hickenlooper, has been vocal about protecting its cannabis industry from federal meddling. Attorney General Jeff Sessions has made it no secret that he does not approve of state cannabis legalization, and wants to uphold marijuana’s standing as a Schedule I narcotic on the Controlled Substances Act, 21 U.S.C. However, such protections do not extend to businesses who are suspected of violating the state and local regulations. This is where the guidance of our Orange County attorneys for cannabis businesses comes into play. Our lawyers have years of experience helping set up collectives and create business plans that will not only be successful, but also keep you in compliance with the state and local laws. And should you find yourself charged with violating one of those laws, our criminal defense team is by your side with a comprehensive understanding of the industry and how to best defend out clients. This story out of Colorado should be a cautionary tale to commercial marijuana businesses currently setting up shop or turning in license applications in California, as well as businesses in other states that are already established. An owner’s work isn’t over once they meet the guidelines to begin operations. It is essential to know the law and ardently follow those laws to keep your business above board. It may be tempting to cut corners to secure higher profits, but such actions can be much more costly in the end.